Perfect Pet Resort is now offering a special Puppy Power package for your new cutie! Join us for puppy obedience training in Puppy Class – regularly priced at $145 – and six sessions of Puppy Club – regularly priced at $120 – for $235 with a savings of $30! Want the socialization but already have the puppy obedience basics down? 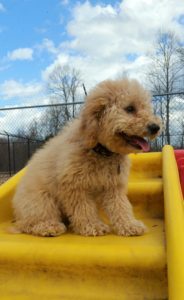 You can also purchase a Puppy Club punch card for $100 and get one Puppy Club session free! Puppy Club runs on Saturdays at 2:00 pm. Our Puppy Head Start class is beginning on April 10, 2017 at 6:00 pm. Click here to sign up!